When the temperature dips to 0°C, water turns to ice. Salt works by dissolving in the water creating brine that has a lower freezing temperature than pure water. In cold temperatures, snow can bind to the pavement, making it very difficult to remove. 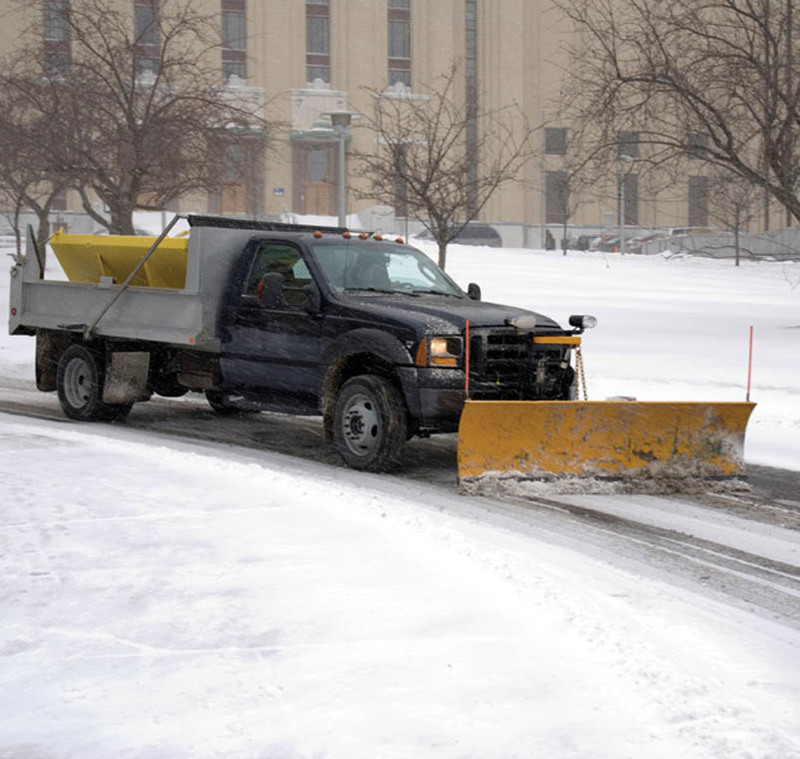 Winter salt prevents or breaks the bond between ice and the pavement, allowing snow and ice to be more easily plowed or shovelled. Different types of salt work at different temperatures. Follow the manufacturer's instructions for working temperatures and application rates. Before applying salt, check the outside temperature to make sure the salt you are using will work. On the pavement . . . When dry road salt is spread on pavement, the salt mixes with the water droplets from the snow or ice to create salty water, which is called a brine solution. This liquid spreads out to cover a larger surface area. Salt that is sprayed with a manufactured brine solution is called pre-wet salt. This helps the salt to work faster to melt the ice and snow on the pavement. Brine solutions are also used for anti-icing. In this case, brine is applied on clear pavement before an expected storm. The liquid mixture dries on the paved surface. As the snow falls or frost forms it recreates the brine and prevents snow and ice from bonding to the road. The benefits of using brine solutions to prevent and melt ice include less salt, working at lower temperatures and staying where applied.